But not only did our members during the Local Agora chose a new board member, they also elected a new financial auditor. This was needed as one of our old financial auditors also went to have an Erasmus year, in Gävle/Sweden. Somehow our members like traveling and living abroad a bit too much, maybe. 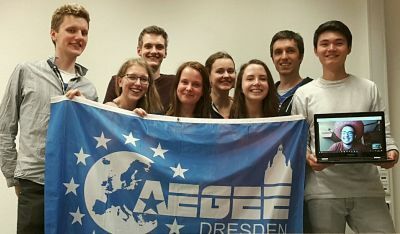 To promote traveling still a bit more we also chose three delegates that will represent us, AEGEE-Dresden, in the next general assembly of all AEGEEans, the Agora, this time in Enschede/Netherlands end of May.